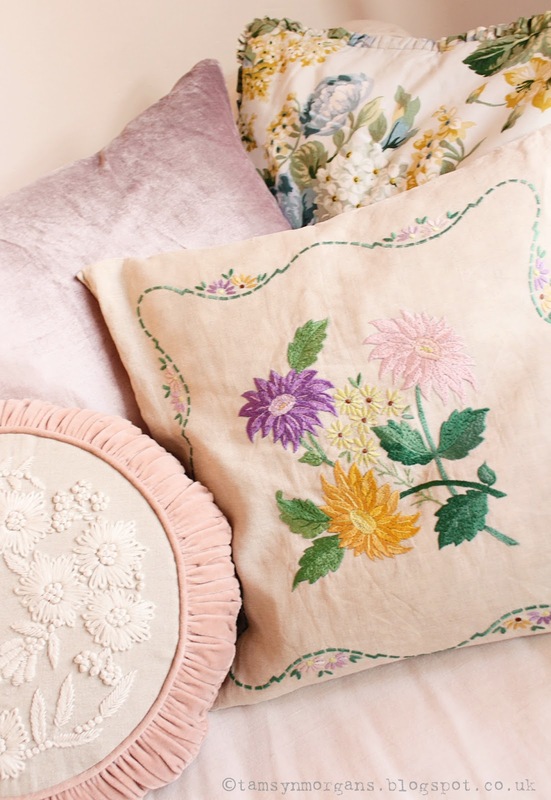 I found this pretty floral embroidered cushion a few weeks ago at a car boot fair. A good wash, iron and a new feather pad have brought it back to life. 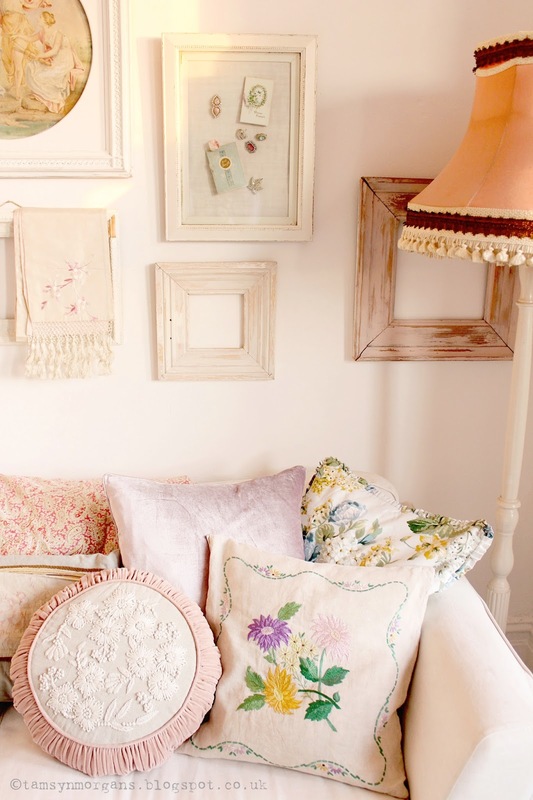 Sometimes that’s all vintage finds need – a bit of TLC to bring them up to date. The divine round velvet and linen cushion was a birthday gift from my dear friend Lucy. The colour, the pleating, the embroidery – it’s so gorgeous. This mix of mismatched patterns, shapes and textures work so beautifully together. It takes time, piecing and layering together items to make a pleasing composition – it’s like pinning things on a moodboard.